FBLA members appreciating the fruition of their efforts and plan. Across the United States, the Neonatal Intensive Care Unit (NICU) receives half a million visits a year, because of problems with premature birth, congenital disabilities, and congenital heart disorders. It is absolutely shocking and upsetting how many babies are admitted into the NICU with the parents having no explanation as to why it may have happened. Within the NICU, babies are generally able to leave within 24 hours, but in some cases, they are left there for much longer. As a result, babies will begin to feel less comfortable with their surroundings, considering that hospitals are generally noisy, not to mention that babies will also be exposed to light from the hospital and this can hinder their ability to have smoother sleep and more privacy. 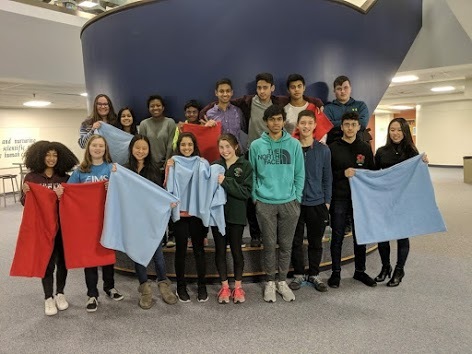 Now, IMSA’s chapter of FBLA comes into play, with their specialized blankets designed to tackle both of these problems. These blankets would be used as covers for the incubators these babies are held in and would essentially prevent light and noise from the incubator. FBLA began this project to be able to give back to the community, and it all started with the current project director, Alison Deng. Alison began this project to help children in the NICU unit of Springfield, Illinois. Alison chose this location due to her personal connection with this hospital. She had grown up in Springfield and had also joined the volunteer force of St. John’s. St. John’s hospital, which is a non-profit organization that is connected with 14 other hospitals, so the need for some type of donation to keep the hospital up and running, is definitely needed. Alison understood this and initiated the donation process to raise $500 for the hospital. FBLA dedicated this project to be one of their top priorities and had many of the members help to achieve the main goal. Their plan stated that they would put in over 100 hours to helping finish this project and that they were also planning on making 50 blankets, 5 pillowcases, 100 goody bags, and 30 books to donate to the hospital, with the hope that more awareness would be raised for neonatal diseases. FBLA’s conference is next week and the final steps are being put into place. 21 members had come to the first meeting about FBLA and its project. They were all instrumental in the donation or work phases of the project, all adding something to this project, which should be extremely appreciated. In the next couple of years, FBLA hopes to be able to increase their level of public outreach, without being restricted to just Facebook and Instagram. Hopefully, as they state, FBLA will be able to move to Twitter, YouTube, and possibly finish creating a website talking about the blankets purpose and function. This project has definitely raised awareness around the IMSA community, and even in the outside communities as well. Additionally, the project has established a position in the community and will continue to make an everlasting impact on the general community. 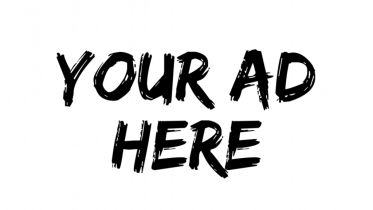 Be the first to comment on "Giving Back to the Community with FBLA"